Over the last decade, new hires in manufacturing earned an average of 38 percent more than new hires in non-manufacturing industries. According to the U.S Commerce Department data, over a career a manufacturing worker earns 17 percent more in wages and benefits than his or her counterpart in other sectors. • Half of all U.S. jobs today can be defined as “middle skill,” requiring a two-year associate degree or some post-high school technical training. • Over the next five years, one of every two new jobs will be middle skill jobs. Together these trends indicate a major opportunity for the next generation of workers who pick this exciting field! Start planning now to help your child find success in manufacturing! Attend a tour with your child during the Dream It. Do It. Minnesota Statewide Tour of Manufacturing. Watch our advanced manufacturing videos to understand modern manufacturing. Encourage your child to join a robotics team. Download the Build It Better! game app to apply modern manufacturing concepts while playing! Search for manufacturing jobs in your area and check out what they have to offer you! Stay connected to Dream It. Do It. 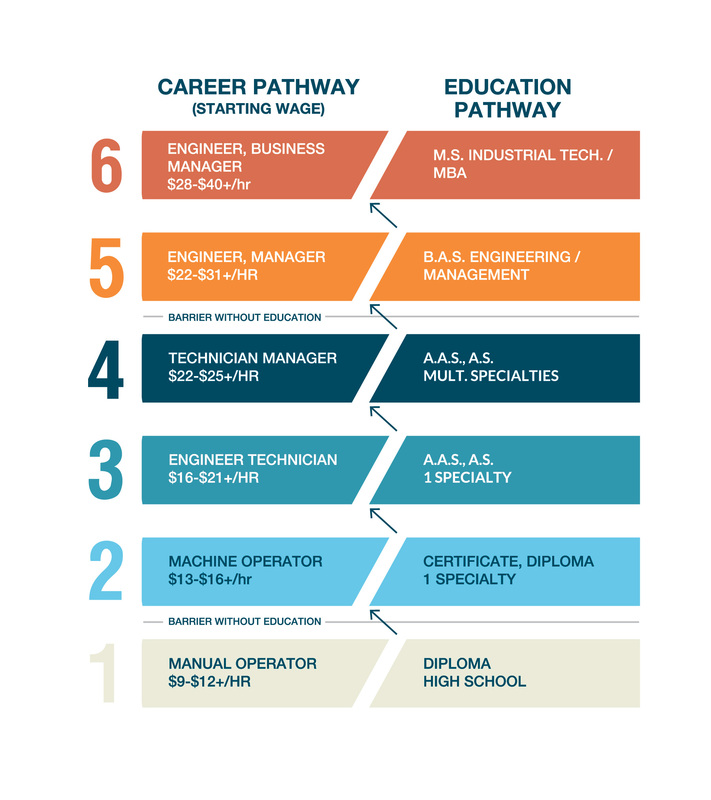 MN resources to help your child pinpoint an in-demand career that’s right for them! 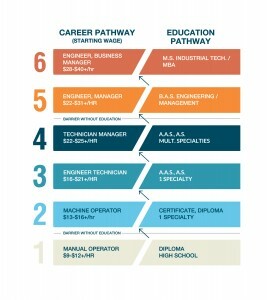 Use the Manufacturing Career Tool to explore career opportunities. See school programs on our site. Search Minnesota colleges offering education in manufacturing! Manufacturing today is much different from what is top of mind assembly-line work, dark gritty factories and low paying jobs. Modern manufacturing is a sophisticated professional workplace that incorporates automation, 3-D printing, screen technology, and robotics. Today’s facilities are safe, well-lit, ventilated, and high tech. It’s now a dynamic field full of opportunity and innovation that promises a career path and job security. Today’s manufacturing careers are sophisticated for both your sons and daughters and depending on your child’s interest, there are opportunities in the industry from marketing and logistics to advanced technical, production professionals, supervisors, and management.